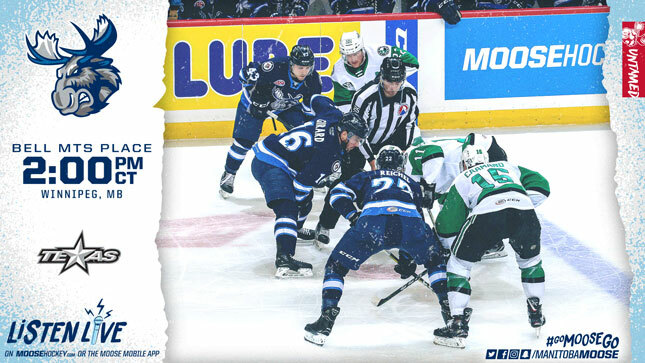 The Manitoba Moose (22-21-3-2) go for the sweep of the Texas Stars (23-19-3-2) this afternoon, after a 3-2 comeback win last night. Today is Polar Bear Jersey Day in support of the Assiniboine Park Zoo Polar Bear Rescue Team. A specialty jersey will be worn by the team and auctioned off on the concourse during the game, and online afterwards. Tickets are still available at moosehockey.com/tickets. The Moose pulled off a win last night thanks to three straight Manitoba goals from Skyler McKenzie, Tucker Poolman, and Marko Dano. That pushes the home record for the Moose to 8-0-0-1 since the holiday break, and their record against Texas this season to 3-1-0-0. The Stars are one of the Central Division teams Manitoba will have to pass if they’re going to climb into a playoff position. According to Poolman the real key to overcoming the two-goal deficit last night was a matter of mindset. Poolman is now on a four-game point streak with five points (1G, 4A) over that stretch. McKenzie, meanwhile, has goals in back-to-back games and holds the team’s rookie scoring lead with 13 points (6G, 7A). Logan Shaw has been a force against Texas this season. The Glace Bay, Nova Scotia native notched two assists on Saturday, and has six total points (3G, 3A) against the Stars in 2018-19. The other key figure in the 3-2 victory was netminder Eric Comrie. Comrie has been stellar at Bell MTS Place this season with a record of 13-4-1, while holding a goals-against average of 2.32, and a 0.940 save percentage. Regardless of where he’s playing, the Edmonton, Alta. native’s workload has also been consistent. With 1046 saves already, Comrie has made 168 more saves than any other goaltender in the AHL this season. McKenzie spoke after the game about how important his goalie has been all season long. The Moose homestand continues on Wednesday with the Chicago Wolves coming to town. Manitoba will then take on their oldest rivals in a rematch on Friday. 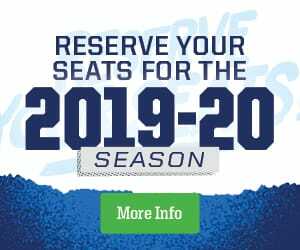 Tickets for both games are available at moosehockey.com/tickets.